Interested in your thoughts on Woodhouse’s latest proposal (text below is from the Taxpayer’s Union). It was reminding me of Muldoon’s fiscal regulator proposal – the idea that the govt should be able to vary income tax rates, without Parliament – for macro-stabilization purposes (only this one is, in principle, even more offensive). The Government has just introduced a last minute addition to a tax bill before Parliament which, if implemented, would give the Government the power to amend tax laws without any consultation or parliamentary scrutiny. The proposed amendment is to the Tax Administration Act, which sets out important taxpayer rights, including secrecy, and the appeals process when the IRD have treated a taxpayer unfairly. The amendment would grant the Minister of Revenue power to make changes to the Act by regulation, avoiding Parliamentary and public scrutiny. Worse, according to advice we have seen, prepared by the IRD, the proposed law would even allow a Minister to change tax law with retrospective effect! 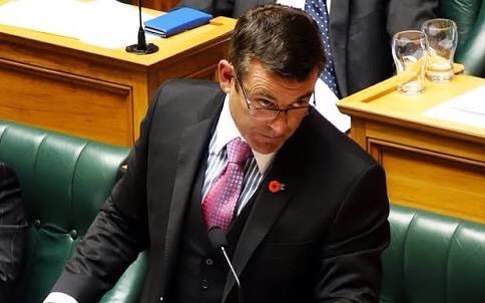 Tax expert, Robin Oliver (pictured), who is incidentally a former head of policy at Inland Revenue, says the proposal is akin to the regulatory powers under the infamous Economic Stabilisation Act 1948. Rob Muldoon used to say he could do anything under the regulatory powers of that Act provided he could hang his hat on economic stabilisation – and he did. The proposal seems to allow a government to do anything tax-wise provided it can hang its hat on “Inland Revenue’s business transformation programme”. We have called on the Minister to withdraw the proposal and have been backed by Labour’s Revenue spokesperson Stuart Nash and Newstalk ZB’s Barry Soper. Proper scrutiny of tax laws is of utmost importance in a democratic society. We cannot think of another proposal in the last 30 years that is such a threat to fundamental common law principles and New Zealanders’ taxpayers rights. Thank you for your question Michael. I think the first thing to have in mind as it isn’t tax laws in general – it is the Tax Administration Act. That is the law that governs the machinery of how the tax system works filing, returns etc. But there are also some pretty important things in there like – timebar – the limits on the ability for the Commissioner to reassess taxes. All the key stuff like tax rates, who is taxed and how is in the Income Tax Act which isn’t impacted by this amendment. The TAA contains a discretion – section 6A – https://www.ird.govt.nz/resources/c/e/cea79f80445d30c38ff5ef73c2f44a51/is1007.pdf which gives the Commissioner the ability to manage her resources – which can include not collecting tax – in the most overall efficient way. They must have felt that wasn’t sufficient for what they were facing. We also have double tax agreements that do override the underlying tax legislation and are permanent that also come in via the executive rather than parliament. They too face the scrutiny of the Regulations Review Committee. I think that this provision has been brought in like this again emphasises the importance of Business Transformation to the government and to Inland Revenue. I thought the RIS was pretty fair and it is clear that Woodhouse and IR have really tried to take the edges off it. http://taxpolicy.ird.govt.nz/sites/default/files/2016-ris-sop-190-bteirm-bill.doc. The RIS also discusses the use of urgency which I allude to in the post and could be used for these issues as there is always a tax bill. In those cases scrutiny can involve the Parliament getting the bills and RISes on the same day as first/second and third reading speeches need to be made. As the acting CPC says – with that as a counter factual it all looks pretty good. I don’t know if this is confidence and supply but I would assume the govt has the numbers. In that case what I would hope for was guidance from the dept – as with the 6A statement – as to how they are going to use it. Because it could also have the potential to be taxpayer friendly/fiscally unfriendly. It is largely timing but timing does matter in tax. But all these questions, challenges and scrutiny are good and will put further pressure on its use. I note it is an SOP to the Business Tax bill which has yet to go to FEC. They could have SOPed the other bill which I think has left FEC. So I really do think they are trying. But do I like it? Not really. So there you are – my views on the matter.